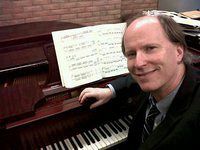 John Ellis is the director of Graduate Studies in Piano Pedagogy, and administers the community and preparatory programs as well as the class piano curriculum. He is in demand, nationally and internationally, as a master class clinician, adjudicator, and lecturer on piano pedagogy. His recent travels have taken him to the University of South Florida, the Sibelius Academy in Helsinki, Finland, and Hawaii. Ellis speaks regularly on pedagogy topics to teachers’ groups throughout Michigan. As a pianist, he has performed as soloist, lecture-recitalist, and collaborative artist in New York City (Weill Recital Hall, Steinway Hall), Rutgers University, SUNY Purchase, Notre Dame University, Montclair Museum of Art, the University of Helsinki and the Sibelius Academy (Finland), and Freiburg in Breisgau (Germany). 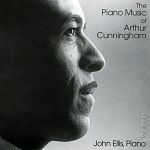 He has recorded the piano music of Arthur Cunningham. As a scholar in the field of pedagogy, Ellis combines music theory, musicology, and the humanities with the more traditional pedagogical methods. His article on the piano method of Marguerite Long appeared in American Music Teacher in 2013. He has worked with the Musical Signification Project of the International Congress on Musical Signification (ICMS) since 1996, presenting papers on musical meaning and pedagogy at the University of Bologna, the Université de Provence, the University of Helsinki, and the New England Conference of Music Theorists at Wellesley College. His articles have been published by CLUEB (Bologna)/International Semiotics Institute (Finland) and Acta Semiotica Fennica. He has presented his research at the conferences of the Music Teachers National Association and the National Conference of Keyboard Pedagogy. His primary teachers were Arthur Cunningham, Frank Iogha, Michel Block, and Constance Keene. Prior to coming to Michigan, he served on the faculties of the Manhattan School of Music and the Brooklyn Conservatory of Music. He has taught on the piano faculty of the University of Michigan All-State program at Interlochen and coordinated the piano program at the U-M Summer Arts Institute.